Many elements go into making a good story. I had a blue-sky idea this morning as I was walking down the street past the houses, the trees and the driveways. Looking back a bit later, after I had finished breakfast, I saw that it has to do with transparency, which is something that I think most people would agree is a good thing. Take a restaurant for example. When I lived in Sydney I would go sometimes to a Brazilian restaurant in Petersham that has an open kitchen. From the counter you can see everything that goes on toward the preparation of food. Contrast this with a typical restaurant that just has a door going into the kitchen at the back of the eating area. Which one gives you more confidence? If you can see what goes on during the preparation of your food you'd probably be more comfortable eating what's served up. Restaurants have an image problem if they do not appear clean, and we occasionally read about one that gets a food safety fine and is named and shamed in the news. So what about journalism? Transparency in journalism would surely be a good idea. Going back a few steps, my idea as I walked down the street was to add a new page to my website that would contain critiques of stories I have written. After all, I'm not perfect. A story I did 18 months ago might appear to me, now that I have more information on the topic, to be flawed in some way. But to talk about a story's shortcomings would not be enough to attain true transparency because there's also an editor involved, sometimes more than one. As a freelancer, my editor will possibly rewrite some of the story, or ask questions that need answers in order to bring the story up to scratch. If I put up a page containing self critiques then my readers could see how the story came into being. What prompted it? Whose idea was it? How did you find the experts you talked to? Did the lede (the story opening) change after you submitted it? But then I thought about how my editors would take this idea. I am certain that they would universally object to the idea. I would be talking publicly about a critical relationship that enables me to do my work. The idea would alienate my editors and I would get no more work. So what about a third-party website dedicated to disclosing the way that stories get written? It could accept submissions from journalists, who would remain nameless, and the pieces that ended up on the site would not name the publication, the topic (maybe), or the names of people interviewed. Would that work? How many journalists would opt to submit a story critique to such a website? My guess is, not many. Journalists have an image problem, however. Mostly they accept it and just get on with the job. Within themselves they know that they are participating in an activity that is essential to the functioning of a democracy. But surveys show that journalists have a very low popularity ranking. One recent survey put the profession lower than a legal clerk in terms of desirability, which is complete nonsense. Journalists mainly enjoy their work. They get to talk with interesting people. They get to contribute to important debates in their communities. They get to question, think, and propose suggestions, and they get paid to do this. Nevertheless it's unquestionable that that low popularity hinders the journalist in his or her work. When you telephone someone you catch the hardening of the voice when it comes to asking to talk with so-and-so. That hardening of the voice might mean, "I suspect you're going to write a story that's negative in respect of my organisation, so I'm wary." There's the standard response from government departments: "We don't allow interviews with departmental officers but if you send an email we'll try to answer your questions." Departmental policy universally prohibits officers from talking direclty with the media, and all requests for quotes must go through the media office. Or there are the requests for comment that simply go unanswered; people just don't even bother telling you that no comment will be provided. Slam! It's a bind. It's unlikely that I would dissect the story production process as far as to talk about who wrote what, what bits were given prominence at the editor's request, and what bits were simply cut. But I will think about how I can offer critiques of my stories because I think that community engagement and dialogue is important. Of course, I could be fooling myself. Maybe nobody would bother to visit such a page on my website and spend time to read through my lucubrations. But I think it's an interesting idea. What think you? 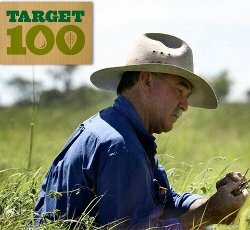 Image from MLA's Target 100 website. "I don't think the farmers of the future are necessarily the ones who can plough a straight row ... or fix a tractor," says Wood. "I think it's about marketing and communicating. I don't think many farmers have explored how they can engage with the community. They all go on about this disconnect between townies and farmers ... but they're doing nothing about it." It's easy to put two and two together, especially in the light of the popularity of such people as Lyn White, who was notably featured this week on the ABC's Australian Story. White is the activist who took the video footage in an Indonesian abattoir that led the federal agriculture minister to shut down live cattle exports last year. She's an ex-cop, she lives near the beach, she's always loved animals, she jogs. The ABC managed to personalise her in a way that is meaningful for the same metro residents who would read Lethlean's story about a free range pig farm. The media are aware of what's important to metro residents and that's why they run these stories. The hook is there already, there's no need to sell the basic message, the consumer is primed to pay attention to these stories. It's in the bag. Meat and Livestock Australia is conscious of the lineaments of the urban-rural divide and earlier this month launched an ambitious web project designed to bridge it, called Target 100. 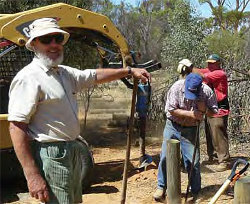 The website contains information about initiatives being undertaken in Australia to promote sustainability. It also has a number of videos, and provides a space for farmers to upload their own stories to the website. The site was built by Community Engine, which is a cutting-edge outfit that has in the past been involved in such things as online voting. It's not just a flat website. The website also contains information about issues that should be important to urban residents, such as food wastage, packaging, and keeping herbs in the backyard. For me the problem is in the quality of the copy. There are a lot of initiatives listed here but the writing is very uneven in quality, as if it's just been cobbled together from a wide range of sources. A lot of it is not easy to read, being too scientific and full of jargon. The people behind the website would be advised to look at ways they can improve the quality of the copy so that it is actually easy to read. Most people just will not bother with what's currently there, no matter how useful it might be. So far there have only been two mentions of Target 100 in the press. One story was in the local Gladstone newspaper because one of the farmers the MLA has focused on, Stuart Barrett, lives nearby. The other story was in Queensland Country Life, for the same reason. But this kind of coverage should not be what the MLA is aiming for. What they really need to get is coverage in the metro press. It's a valid response by MLA to a pressing image problem but it's not what Eliza at Mount Gnomon Farm is talking about. What she means is that farmers need to individually get out and engage, start talking with, the community of consumers who live in cities and whose opinions drive not only national policy agendas but also purchasing trends followed by retailers. A problem for farmers is that it takes time to make interesting content. MLA's website shows us that, by not spending enough of it on the quality of the content. Blogging with a metro audience in mind also offers up other challenges. What do metro readers care about? How can I frame what I do in such a way that it answers that need? But I think it's better to start and make mistakes, than to do nothing. There are lots of good stories out there that metro consumers would enjoy reading about. His name was William Robert Ralph Caldicott and he was my grandmother’s elder brother. Like her, he was born in Rozelle, a suburb of Sydney. But he was four years older. The grandmother I speak of is my father’s mother. She lived together with us in Sydney after leaving her husband, from 1962 until she died, aged almost 90 years, in the late 90s. I grew up with granny but she never talked about her brother. At all. Her brother was born in 1902 and he died in 1946 after being discharged from the military. He was ‘natural born’. There is a long list of entries about persistent illness on his service record. I know this because I’ve got a photostated copy of it. Some months back I was contacted by a person who had located some service medals, including my uncle’s. WRR’s father’s WWI service medal was also available. Did I want them? There was no other family. My uncle’s father, William Caldicott, had remarried after his first wife died. There were living relatives deriving from the second marriage but there were no children from WRR’s marriage. I said ‘Yes’. A few days later I requested his war record from the National Archives. In 1943, Grandfather was informed that Uncle Bill had survived the Siege of Tobruk - only just - and would be sent home after release from whichever hospital in England, wherever that was. Information like that was restricted but we at least believed that he was alive. He was probably in the battle that took that important port from the Italians in January 1941. In March that year Tobruk was isolated from the main British forces to the East and the Germans laid siege, finally taking the city in June 1942. Of course we didn't know where Bill was but we did follow the campaign and because we had heard nothing from him, we supposed that he was still in North Africa. The Germans took 35,000 Allied prisoners, perhaps he was one of those. Sometime in the next year or two Bill came to stay with us and we realized that he was a very sick man. 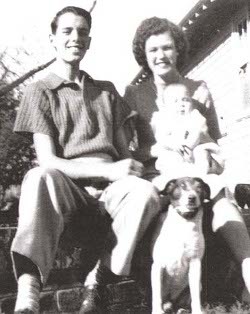 Bill and his wife were divorced and had no children so I suppose mum, his sister, offered to look after him and aid his recovery, however he returned to Sydney and died soon after (1946). He had survived as one of the Rats of Tobruk, who, after the disaster of the fall, survived being prisoners of war until their remnant numbers were freed by the British in November 1942. He had two or more years in hell and couldn't talk about the experience, in fact he couldn't talk about much at all. WRR’s record shows he was in the Sydney suburb of Rosebery, in the Stores Unit, by November 1942. Dad’s memoir says the family was informed of WRR's situation in 1943. The discrepancy may have been just due to poor memory. Or it may have been due to a difficulty the military had while trying to contact WRR’s stated next of kin – his father. It may have been due to WRR’s poor physical state. Or it may have been because WRR did not want his father to be contacted. Or it may have been due to security issues. But soon after that entry there’s one which shows that WRR’s next of kin changed from his father to my grandmother. Maybe WRR’s father was ashamed? Maybe due to his remarriage William Caldicott wanted nothing to do with his first-born son? We’ll never know. My father didn’t know the full story either and his account is the most detailed to have survived. As I said, granny never talked about her brother. The war record provides more details about the movements WRR completed. It says that WRR embarked in Sydney for service overseas in June 1941. He disembarked in the Middle East in July of the same year. In January 1942 he was transferred to Stores Corp, and then embarked on HMS Mauritania later that same month, destination Bombay. By June 1942 he had disembarked in South Australia. Then to Sydney. From August 1943 there is a long list of medical entries, some noting ‘pneumonia’ and ‘bronchitis’. He was discharged in August 1944 “being medically unfit for further military service”. I can see his signature on the form in 1941 and then on another form in 1944. The curlicues are less robust on the second signature. It looks a bit tired and less optimistic. But I may just be transferring feelings about things I know from family history onto this simple thing. Dad seems to have gotten some of the dates wrong. It doesn’t really matter. The story that these war records and dad’s memoir tell is a sad one. My grandmother’s silence therefore is a continuing source of puzzlement for me. But she’s long gone so I can't ask her why. WRR died for Australia. He may have been insignificant: a cook and then – something in the Stores Depot in Sydney. But he was crushed by incarceration after Tobruk was taken by the Germans, or just by the war itself. His medals sit in a frame on my wall, near the kitchen. The frame is gold and ornate. It’s like a little box. The two medals sit, side by side, in a boxy frame on the wall near my kitchen and they remind me that there should always be a better alternative to war. on a road near Nambour, New South Wales. The president of the Federated Trans-Tasman States expressed “disgust” at the contents of printed material that crossed the northern border, near Nambour, and which was discovered on Monday. The material, which included text calling the president a “filthy boong” and FTTS congressional members “cockroaches” and “Mexicans”, was discovered in the backpack of a man by police near the border crossing located just north of the town of Nambour. The fliers also contained “specific, credible” threats against the NSW city of Brisbane, according to a police spokesperson. “This printed matter constitutes a threat to national security,” said Detective Inspector Graham Strope of the federal police’s Brisbane-based Northern NSW Command. The man, who claims to be a seasonal farm worker, told police he didn’t know how the material came to be in his backpack. Police say he told them he was driving to a job near Lismore for the macadamia harvest after having helped harvest tomatoes at a farm on the border south-west of Bundaberg. Police say the man will remain in detention until they have “established unequivocally” his identity and exhausted all lines of enquiry. “We believe these messages are another sign that the government of Capricornia is desperate," said President Pinjarra on Wednesday. “In Perth and in Townsville they want to sow factionalism within our borders. But I know that Trans-Tasmanians will show discipline and unity and keep vigilant when there is any unusual behaviour. “Police in cooperation with the armed forces patrolling our northern borders have been successful on more than one occasion in short-circuiting attempts by elements originating in Far North Queensland to disseminate inappropriate material. Nambour was a focus of intense fighting during the Second Secession War of 2163-78, and continues to act as a flashpoint bringing attention to often sour relations between the two nations. Capricornia Governor-General Jonas Johnston said through a spokesperson that the material had “most likely” originated in Hobart, “where there are many people who do not have confidence in the FTTS government”. Negotiations over Outback borders continue amid sporadic outbursts of violence on the Great Bight and along the Line of Détente established under the auspices of the United Nations in 2179. President Pinjarra said that the discovery of “inappropriate” material would not affect border negotiations, which are currently underway in the capital, Canberra. The United Nations General Secretary through a spokesman said the offensive material was “regrettable” and that she hoped that continental border negotiations would continue. Negotiations remain stalled over where to draw the western border. Congress remains committed to a border at latitude 125 degrees. Capricornia’s Parliament has said on numerous occasions that the border should be “where it was before”, at 129 degrees east. Premier Srinavee of Vandemonia said his state was committed to the success of the negotiations and that the material was not produced there. Premier Faulkner of North Aotearoa said that the Governor-General’s claims were “laughable”. Best practice says a global view benefits everyone. Some analysts questioned if Senator Brown’s shock resignation was linked to a bizarre speech he delivered recently in Hobart - the third annual Green oration - which was ferociously attacked by [the National Party's] Senator Nash. Senator Nash said if any more proof was needed that the Greens were the ”loopy” party, Senator Brown’s speech proved it, with his call to "earthlings" and musings on why intergalactic phones aren’t ringing. Nash made sure the reporter got wind of the "more outlandish" of Brown's speculations. "Haw haw! Yeah right, mate." What a flake. Patrick Carlyon over at the Herald-Sun also savaged Brown for his speculations. Carlyon is the author of a book on Gallipoli, which makes sense, because wars usually occur between nations, and Brown had suggested establishing a global democracy. Patrick's father, Les, also wrote a big book about war. War is one thing that comes to mind when contemplating a global federation. But there are other things that suggest such a move, apart from the need to combat climate change, which was where Brown took his cue from. There's the internet, for a start, which is operating to reduce the force of national boundaries. In terms of defamation law, copyright law, and criminal law the internet is adjusting the way we think about the idea of a legal jurisdiction. Publishing a story in the US, for example, does not protect you if you defame an Australian. The more recent push for stricter protection for copyright holders, including SOPA, suggests that only global solutions to malfeasance are valid. 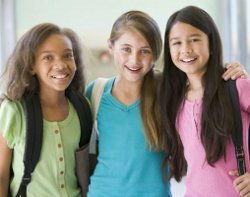 Protection of minors, too, requires police forces to operate across jurisdictions and where they cannot prosecute due to differing laws the vulnerable are disadvantaged. We've also seen parliaments, including Australia's, loosening the regulations covering extradition so that it is easier for foreign states to extradite people from here. There has been a similar loosening in terms of access to private data, to the consternation of some. What else is global in nature? The marine environment is. Fishing on the high seas is being done illegally by rogue operators, to the detriment of fish stocks. Pirate ships routinely catch fish they are not entitled to. But more importantly national boundaries make it difficult for transnational organisations to manage fish stocks because these organisations cannot mandate behaviour. If a country does not want to reduce its catch there's nothing anyone can do to make it stop. But the world is becoming more interconnected anyway, apart from the exigencies of such things as the environment, the internet, law enforcement, and marine sustainability. We saw this with the global financial crisis. We see it with European financial problems that still impact on countries everywhere, including Australia. 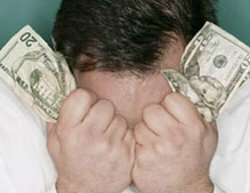 Stock markets around the world are sensitive to street protests in Greece and Spanish attempts to fund sovereign debt. It's not just Germany that has to worry about insolvent southern European countries, it's all of us. So it's not hard to come up with any number of areas of human activity that are global in nature. In fact it's laughably easy (if I can do it, so can Senator Nash). So instead of laughing at Bob Brown for saying things that most people never think about (but some other people do think about these things), maybe we should all just put aside our party-political prejudices and participate in a debate that can be useful. It's just not useful to lambast someone for being original. It's degrading to everyone concerned, including those who read these news stories. There has to be a better way. Which is something that Bob Brown has been saying for decades. Pic from lick, the civilised world blog. Museums, [Pamuk] says now, “should be more like novels – less about nations, tribes, institutions; more about personal stories”. Power to the people, perhaps? Or, at least, power to the individual. That which is important to me, is not necessarily something that would be celebrated via a column of marching soldiers down the main street in the bright sunshine. Perhaps I prefer to contemplate a collection of cigarett butts, or a few strands of dark hair. 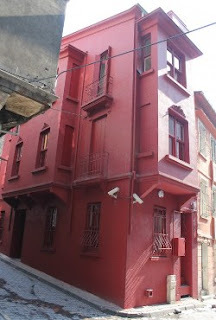 The museum can hardly be contemplated without thinking about Pamuk's own political status. He is celebrated globally as a fine writer yet in Turkey there are factions who want to punish him. Turkey's modernity is a work-in-progress and as the country strives to be accepted in the community of European nations, at the same time it affirms some strong principles apparently critical to its identity. There are some things that it will not compromise on and this attitude seems to be taken up by various interest groups, not the least those who wish harm to Pamuk. There's a line, it seems. Pamuk's museum stands on this side of that line, most definitely. It's a slightly eccentric celebration of his own novel but also a statement about the worth of the individual as opposed to the group. The strength of one is held up in comparison to the strength of the other. Which one will serve to advance Turkey's EU interests is pretty clear. Ditch the goose-step and the gun, go hard (or soft) with the bitter-sweet memories of lost love. Some people have already visited the museum. Some aspire to visit it. Some will baulk at risking the vagaries of the community it cleaves to. Some will simply admire the vision, and the promise of love's glory it represents. A female seahorse and her very pregnant mate. Australian researchers say it is "highly likely" that UK actor Martin Clunes is a seahorse because he appears on his show, Doc Martin, carrying the baby of a woman he is not married to, but US Republican candidate Newt Gingrich says he's not convinced. "Mr Clunes is a well-known UK Republican," said Gingrich by phone from his room in an Alabama hotel Sunday evening. "We think he's a lizard." 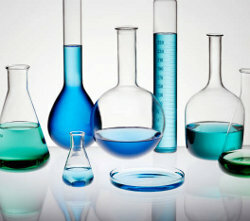 Tests by the Humanities Science Lab at West Texas Pentecostal University were not yet complete, said Gingrich. "They're looking at the things Mr Clunes says on his popular show," said Gingrich, adding that he would still run for the Republican nomination ahead of presidential elections in November regardless of the outcome of the tests. Letitia Stork-Wang, a researcher on secondment at the HSL from her Sydney base said test results so far had been equivocal. "We're conducting sophisticated lexical and cognate-oriented analysis," said Stork-Wang. "The tests are ongoing." But researchers at the non-profit Centre for Human Studies, headquartered in Rhodes in Sydney's west, are "pretty certain" that Clunes is a seahorse rather than a lizard. "Clunes' tendency to be rude and abrasive, even in public, could appear to suggest that he is naturally on the right of the political spectrum," said Stork-Wang yesterday. "My colleagues in Sydney have done some solid work on the Doc Martin scripts, but they don't have access to some of the more high-end equipment that we have here in Texas." Stork-Wang said that "unequivocal empirical" results would be available within two weeks. "How can a man who wears a suit and drives an expensive European car possibly be a seahorse?" Gingrich asked. "He pisses people off left, right and centre. He's rude in the extreme, just like I am. There's no way he's not a lizard." But Stork-Wang said that Clunes' carrying his ex-girlfriend Louisa's baby in a chest harness has troubled many, including top-level scientists in a number of countries. "It didn't seem to fit the pattern," she said. "We'd expect that type of behaviour from bleeding-heart liberals but Clunes is obviously not one of those. I think that many people are going to be surprised when the final results are published." Letitia Stork-Wang is usually based at the CHS but is in the United States thanks to the Fairbright Institute's Tri-Millennium Foreign-Education Endowment Fund. West Texas Pentecostal University is the largest employer in the town of Kermit, in Winkler County. Probably most of the content online is not journalism. Yes, it was written by someone, but who? We can get an idea from a recent segment on the ABC's Media Watch, which was about the Australian Football League (the AFL) and its move into producing its own content for its own website. The AFL has hired 40 journalists to do this. They're being paid by the body whose sport they cover, to cover that sport. They're not independent. In fact, they're not strictly journalists at all. They're PR agents. Another clue comes from a story by the Sydney Morning Herald's media writer, Julian Lee. In the story he talks about an outfit in Sydney called King Content which pays writers to produce blog posts and other content for corporate clients. Some of these people may be journalists but what they're writing isn't journalism. Lee also talks about the McDonalds TV program that was aired recently in Australia, McDonalds Gets Grilled. These instances reflect a trend in the media where the quantum of content that is produced by journalists is waning, and the quantum of content that is produced by paid writers is rising. And every day, Australian journalists in the mainstream receive hundreds of press releases prepared by PR agents that they go through looking for likely stories. Parts of those press releases are incorporated into the final story that appears on the newspaper website, tacked onto original interviews and other material that the journalist has made him- or herself. Readers selfishly expect to consume news stories for free and when asked if they are willing to pay for them, they couch their negative responses in the guise of tropes taken from the era of civil protest. "The people," they say, will decide. But what they don't see - because newspaper companies don't routinely talk to the people about their economic fortunes publicly - is that the media is suffering. Those news stories that you rely on for information are becoming a rare commodity. You may not like journalists, or you may not like tabloid newspapers, but if those vehicles for content disappear the society you live in will change for good. "People need to understand that they are the product of Facebook and not the customer," says media theorist and writer Douglas Rushkoff. And the same applies for online content. If you are not paying a price for the story that you read, then you are being sold to someone else for their commercial purposes. The problem for the media is that the clicks that they monetise and that you provide are not paying them enough to support the model indefinitely. Which is why Rupert Murdoch has turned the Australian and the Herald-Sun into paid-for websites. He's moving cautiously. He has many other news websites in Australia to still get to, but they will all go paid eventually. As will Fairfax, which operates the Sydney Morning Herald and the Age of Melbourne. It has to happen. Someone has to pay for the content you read. It isn't cheap to produce. Journalists have mortgages and journalists have private health insurance and journalists eat food, just like you do. You may not like journalists but you depend on them. A democracy cannot function without their involvement on a daily basis. It's just not possible. So you are not just paying to read a few stories a day, if you take out a subscription to a newspaper website. You are paying for the functioning of society. You are investing in healthy, productive political and civil mechanisms. You are contributing to the wellbeing of your fellow citizens, and ensuring that your own future is not sold down the river to the highest bidder. You are engaged. You are contributing. You are making a difference. Amid the "shock" felt and expressed by journalists yesterday at the resignation of Greens leader Bob Brown, there was some distasteful raillery from the Right about his replacement by deputy leader Christine Milne (“When it comes to charisma, Christine Milne must have been ill the day they handed it out," appeared in one News Limited vehicle). But it was only shocking because it was a slow Friday, and nothing else of importance was happening in Australian politics, what with COAG rumbling along like a beanbag that is filled with massive lead pumpkins rolling down a hill. As for the childishness of the name-callers, it's enough to point out that Bob Brown has seen off quite a few similar attacks in his time in politics. But at least there was no need to second-guess Brown's motives for leaving the top job in the Green Party. It's refreshing. When Brown says that he left to make room for the next generation of leaders, who no doubt have their own aspirations and a list of things they want to achieve, you can take the man at his word. There's no need to second-guess, tea-leaf read, or additionally construe actual motivations as there is in the case of the leader of one of the major parties leaving. It's not about factional deals. It's not about preserving a legacy. It's not even about making sure a particular piece of legislation gets up in the House. When Brown says that one of the bad things about a strong leader is that he or she stands in the way of the aspirations of others, you can take him at his word. Brown can smile so broadly, as he does in this photo, because he's being completely honest. He's not trying to keep his legacy intact by appeasing someone else's hunger for power. 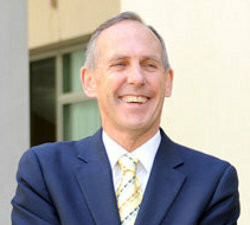 Brown has always been a true-blue pollie because he created the position he held in Parliament. From the early days of the environmental movement in the 70s in Tasmania, to the formation of the United Tasmania Group, to the establishment of the Australian Greens in 1992, Bob Brown has come to personify an entire political movement. He's not called a "conviction politician" for nothing. His retirement from politics, now, resembles his rise to prominence throughout the years because there is no hidden agenda, no alterior motive to unearth, no internal power dynamic at play that the electorate needs to figure out in order to understand reality. What you see it what you get. It's so refreshing. 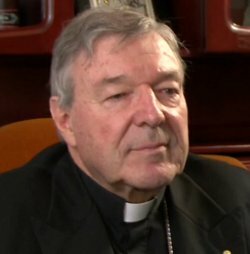 It's part of the paradigm that church leaders get facetime at Easter, which is why the Australian today ran a video interview with Cardinal George Pell, the Catholic Primate of Australia, in which he attacks the "minority" views of the chattering classes and their political avatar, the Greens. They only get "less than 10 percent" of the primary vote, says Pell. (Actually, the Greens polled at over 12 percent in the last federal election, and other polls show them with up to 20 percent of the vote.) This should disenfranchise them, he goes on to say, but the problem is that the "intelligentsia" (the Oz journo tries "the communicating class" and Pell turns that back to the more common "chattering class") are heavily involved in the production of content that is deployed in Australia's media. While in this way attacking the messenger, Pell also tries to diminish the importance of the Greens by counter-intuitively praising the "communication skills" of Bob Brown, the Greens leader. This is as much to say that honest people have been fooled by a clever charlatan. No, George, it's not at all because the Greens provide an alternative to the two major parties that better responds to the real beliefs of many people! Pell is careful not to attack the foolish Greens voters; it's more diplomatic to get stuck into Bob Brown. Other people do the same thing as Pell, so he's not being original. The Greens pose a real problem to political conservatives mainly because of the power they hold in the federal Senate. The numbers in the Upper House mean that the Greens hold the balance of power. They have six senators. Even if a Liberal-Nationals government took office in 2013, as is expected to happen, it's highly likely that their legislative agenda would be thwarted by the Greens in the Senate, as all legislation must pass through there after being cleared by the Lower House. So the Greens are a constant thorn in the side of the political majors. But rather than attacking the people who vote for them politicians and their conservatie flunkies, like Pell, lash out at the Greens leader and his team on a regular basis. Don't attack a potential voter, attack your adversary. Ignore the groundswell of support the Greens enjoy. Pretend that that demographic doesn't exist. The church has a big problem in Australia, where only about eight percent of residents go to church on a regular basis. This is not America, where that number sits at over 50 percent. In this deeply secular, hedonistically complacent, and issues-averse country people like Pell have to mute their anger because they just don't have the support on the ground that would justify the ravings we hear coming from public platforms that exist in the USA. And thank God, too. The Republican assault on women we've seen during the now-almost-complete primaries, which are held to select the Republican candidate for president, is deeply repulsive to regular Australians. Pell says nothing about this disgusting phenomenon which, fuelled from the Right of the Republican base, has turned conservative politicking in the USA into a glitzy echo of the Taliban's moral agenda. This post started with an email this morning from David Cohn, the US guy who started the Spot.Us service in the US, and which has now been replicated around the world, including in Australia. Here, it operates out of Swinburne University in Melbourne but the idea is the same. Journalists put up pitches for stories they want to write and the pitches are viewed by members of the public, who can then pledge funds toward turning those ideas into actual stories. The service was sold at the end of 2011 to Public Insight Network (PIN), which I will explain here. PIN is owned by American Public Media, which is one of those large US non-profit media organisations that operates radio stations and also produces content that is syndicated for use by other radio stations across the country. We don't have these types of organisations in Australia, which is one reason why it's hard to understand PIN, and that's why I'm doing this run-down for the benefit of the readers of this blog. The way I understand it, PIN is like a contact broker. Listed in PIN's database are thousands of sources who are willing to provide access to their expertise for the purpose of producing news stories. PIN has a sign-up page on their website where sources can go to get listed. In the listing process they specify their area of expertise, where they have worked, and other things that can help others to pick them out of the crowd when a query comes in. On the other side of the equation, there are about 70 partner news organisations who pay license fees in order to avail themselves of the service. There is only one partner organisation outside the US, and that is in South Africa. A partner designates an 'analyst' who serves as the contact point for that organisation when it comes to getting in touch with PIN. The analyst sends in a query and someone at PIN consults the source database looking for a person who fits the bill. The questions are asked of the source and the questions and answers are placed in a searchable database for future reference. And the analyst - and their organisation - gets the answers to the questions they wanted answers to. I imagine that follow-up interviews, either by phone or in person, are possible also. The email I received this morning says that Spot.Us will not change in the forseeable future, and it says that "high-quality journalism requires our active and ongoing support". This is PIN's appeal to the reader. "That basic understanding is core to the mission of the Public Insight Network and Spot.Us," the email continues. For people in Australia who know about the local franchise, PIN's takeover of Spot.Us will surely raise some questions, and those who are interested will keep monitoring the situation as things progress to see what changes occur to the service. My father with his sister and baby brother. This is an excerpt from my father's memoir. This section of the memoir, which was completed in 2002, details backyard industry during WWII when my father was a boy. The picture shows my father as a slightly older young man, after the war had finished. I am posting this part of his memoir because it shows what can be done in regular suburban backyards when there is a perceived need for such industry. In response to a government mobilizing for war, suburban home-owners were entreated to grow food on every available square inch, [and my mother, Phyllis] was determined to do her share. Father would have nothing to do with that, "…ground is too gravelly. Nothing will grow…etc" was father's response, so Mum and the kids started digging and planting and making a big mess as she had no experience or knowledge of gardening or farming. Eventually, after many arguments and acrimonious refusals father got involved and eventually took over the garden. In time he turned the property into a glorious, miniature self-supporting kitchen garden estate. Early in the war rationing coupons were required for shop-purchased items and our garden became an important food supply. Mum started a chook yard by buying day-old chicks which were cared for in a box in the kitchen. The population of fowls grew and a chicken run arranged at the Western end of the back yard with a coop at each end so it could be divided into two: [one] for layers and [one for] birds for the table. We sold eggs, boilers and roasters, chickens plucked and ready-for-the-pot. We acquired the first of many fine, strong young roosters so that we could grow our own day-old chicks. We incubated fertilized eggs and [nurtured] the chicks, all of which endeavour took place in the [warm] kitchen-family-room. Father also grew flowers [and] planted an orchard, and mother sowed the seeds of herbs and vegetables, then thinned and planted to get optimum production. We always grew more than we needed so we sold fruit and vegetables, fresh and bottled, salted and preserved, jam and chutney. She and Sally also knitted and crocheted jumpers and baby clothes, gloves and mittens, socks and scarves, tops and skirts and even full dresses. Because ration coupons went further if garments were hand-made the Brighton gentry would provide the wool and the pattern and the da Silva women would knit, make-up, attend fittings etc, and charge accordingly. They were much in demand and always had a waiting list. 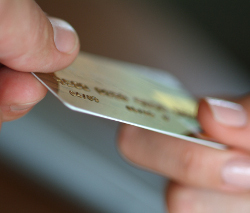 These were the days of cash-only - credit cards didn't exist - it was a cottage industry and as we had no telephone there was much walking, running and biking around to complete transactions, ask and answer written notes, questions and answers, and making appointments for fittings. Sometimes there would be several customers calling at once, especially at weekends and after school when Sally would be at home, [and] much tea was drunk. "No one forced the plaintiffs to give their work to the Huffington Post for publication and the plaintiffs candidly admit that they did not expect compensation. "The plaintiffs entered into their transactions with the defendants with full knowledge of the facts and no expectation of compensation other than exposure. In such circumstances, equity and good conscience counsel against retroactively altering the parties' clear agreements." The lawsuit was launched by blogger and author Jonathan Tasini, who has relocated to Sydney where he is working on a new book, says the Australian: Tasini "is not giving up the fight against what he calls the "cancer" of media outlets demanding that writers contribute their work free". The four bloggers are considering an appeal. "But we're not just relying on a judge," he says. "We're using the lawsuit to spark a movement and an organising effort among bloggers to set a standard for the future because this idea that all individual creators should work for free is like a cancer spreading through every media property on the globe. "The fundamental question is: How are individual creators going to make a living and how are they going to create new content that is the basis of culture, democracy and knowledge?" Meanwhile, Fairfax Media, publisher of a significant quantity of the quality news released in Australia, is debating internally when to start charging readers for the content it publishes on its website. The story is from the Australian, which does charge a weekly fee, so it is paywalled. In my mind the two issues are linked. If readers pay for what they consume, there will be more money available to pay contributors. It took about eight months before the feeling I got from giving away stories for free really started to bite, and it bit hard. Frustration. Emptiness. It's terrible to feel exploited, to feel that others who do the same thing as you are being paid for it while you slave away on stories, doing the absolute best job you can, for the mere privilege of being published on an established masthead. I think that Tasini and others like him were happy to provide content to the Huffington Post when the vehicle was operating on a shoestring. As soon as money entered the picture, however, the landscape changed for good. The goodwill that linked the blogger and the proprietor disappeared when it became obvious that it was all about money in the end. It wasn't about the ideals or causes that motivated the contributors to generate quality content in the first place. It was just about making a buck and, in that case, the bloggers thought, why not give some to me since your success depended on the quality of our writing and the strength of our beliefs. Huffington betrayed that alliance when she took the money and refused to share any of it with the writers. The strength of their feelings over this case I can understand. It will ensure that the writers will not back down. An appeal on the New York ruling is certain. He says it in Julian Assange: The Unauthorised Autobiography (2011) repeatedly, that he's a journalist and that WikiLeaks is a media organisation. 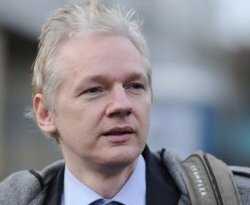 And he said it again a few days ago when he was interviewed for the ABC's evening Radio National, during which interview there was a degree of animosity on the part of the interviewer when Assange said, again, that WikiLeaks is a media organisation. The interviewer seemed to bridle, and it's in that reaction that I find the motivation for this post. Is Assange a journalist? Is WikiLeaks a media organisation? You don't need to look hard to find evidence of editorial judgement, although WikiLeaks says it guarantees people who submit information that said information will be published promptly. And there's plenty of evidence that material is edited prior to release. The amount of work that's documented by Assange and others in the organisation is obvious. Preparing documents for release involves redacting information that might lead to any person mentioned in the documents receiving unwanted attention. "Unwanted attention" means, of course, in this case, a threat to their life. And preparing the Collateral Murder video for release involved adding subtitles, cleaning up the sound quality, and other things besides that made the item as strong as possible for viewers. So there's plenty of evidence that people involved in WikiLeaks perform editorial work on material they receive. Then the material is published online. Publishing is what media organisations do. WikiLeaks also works with "journalists from other media organisations", they would claim, such as the Guardian and the New York Times. Assange said in the recent radio program I mentioned that WikiLeaks works with many fine journalists from around the world. But publishing organisations do not receive the same level of protection from prosecution as do media organisations. When material is published, WikiLeaks always prepares an introductory web page describing what is in the release and offering readers some measure of interpretation so that they can quickly begin to read the material profitably. This introduction constitutes journalism in that it is editorial content that contains the aggregate knowledge of a person, and in that it is written for clarity and ease of access. But compared to the large volumes of information WikiLeaks releases contains, it is a minimal effort. As a journalist myself I at least wonder whether what Assange does can be described as journalism. He certainly provides leadership even if he doesn't write much. Journalists are basically people who know how to write and who write non-fiction in a way that facilitates, to the greatest degree, access by ordinary people to the material they are convering. It might be better to label WikiLeaks a publisher and Assange the chief editor. What WikiLeaks does is so unusual and unprecendented it's no wonder that finding labels has turned out to be such a fraught business. In a sense WikiLeaks is an information broker. Not only that, but it relies on new technologies to facilitate the involvement of whistleblowers. The drop box WikiLeaks uses, that guarantees anonymity, is novel. When asked about his sources during the Radio National program Assange went quiet. Like a journalist would. A journalist must protect her sources for the same reasons WikiLeaks must: without this measure your operation fails because nobody will trust you any more.